The Ibiza press has been full of stories and opinions this week about high hotel prices, the lack of tourists in local bars/restaurants and all while the airport is continually posting record figures. It&apos;s hard to see how the the 3 things aren&apos;t related. The profile of a &apos;holiday&apos; has dramatically changed over the last few years. Low cost carriers like Ryanair (which is Spains biggest airline btw) plus the big hotel booking websites means that travel agents are no longer required for a quick weekend away on the White Isle and your credit card is burning a hole in your pocket. The results are clear to see: Busy weekends and little else. Fine if you live in a 52 week resort but not so good if you have 100 days to make your money and survive until next May. As Ibiza prices continue to rise to ludicrous levels many hotels have changed their strategy by becoming &apos;Adults-Only&apos; targeting the &apos;Dinkys&apos;. DINK stands for Double Income No Kids (obviously), these are the people who have a decent annual income and love to flash the cash on expensive weekends away where their social media timeline will get as much a hammering as their wallet. This type of tourism led to Playa d&apos;en Bossa sounding the death knell for the traditional Ibiza family holiday when &apos;Fiestalandia&apos; gradually became &apos;Ushuaia-landia&apos; transforming from a paradise resort for families to a paradise playground for adults. It&apos;s 2 mile strip full of beach clubs, hotels, bars and a couple of world class clubs means its now referred to in the same breath as Las Vegas and the analogy isn&apos;t far wrong with only the creaking waterpark left as a monument to a bygone family-friendly era. Even Portinatx, that bastion of family values and for many years a Thomson Holidays (remember them?) stronghold will soon have only 1 hotel offering places for kids, the others have changed into yellow-toweled hotel/clubs offering beach beds and mojitos to those who want to experience the real Ibiza (i.e. not go to San An or Bossa). The new Ibiza only allows for kids in certain areas such as Port des Torrent or Cala Tarida or Cala San Vicente, well out of the way in all-inclusive hotels where they can be controlled and drink sugary refreshments to the their hearts content. Ibiza&apos;s towns and ports are now reserved exclusively for those that can afford a weekend away and the inflated prices that comes with it. With Spain&apos;s most expensive hotel rooms Ibiza now has a reputation for its prices rather than its beauty and with this short term, purely profit driven strategy its difficult to see the bubble not bursting. History has shown that what goes up must come down but in the meantime lets hope that the next 2 generations of potential Ibiza lovers haven&apos;t been disenfranchised so much that they decide to permanently take their valuable business elsewhere. Children tend to have long memories. No long term strategy to respect and retain your core market can only lead to big problems and as Abraham Lincoln famously said: You can fool all of the people some of the time and some of the people all of the time but you can&apos;t fool all of the people all of the time. Or as one experienced commentator recently summed up the Ibiza of 2017: Caviar today, hard bread tomorrow. You may arrive on the island because of its hedonistic reputation but you will leave in awe of its natural beauty and splendour. Here are 7 NATURAL WONDER OF IBIZA that shouldn&apos;t be missed whilst on the White Isle no matter what time of the year you visit. All pics my own except Salt Flats (unknown) and Sa Talaia courtesy of Anthony McDowell. Underwater header taken just south of Atlantis. After all the hearsay and speculation it has been confirmed that the West End bars of San Antonio will have to remove their terraces by midnight starting from 2 August 2017. The new law was recently passed by San Antonio&apos;s coalition council who view this as a major step to reducing noise in the area. It will undoubtedly change the dynamic of the famous West End which is the entry point for many youngsters coming to the White Isle for the first time but is also never far from headlines and is viewed by many residents as the epicentre of the town&apos;s problems. 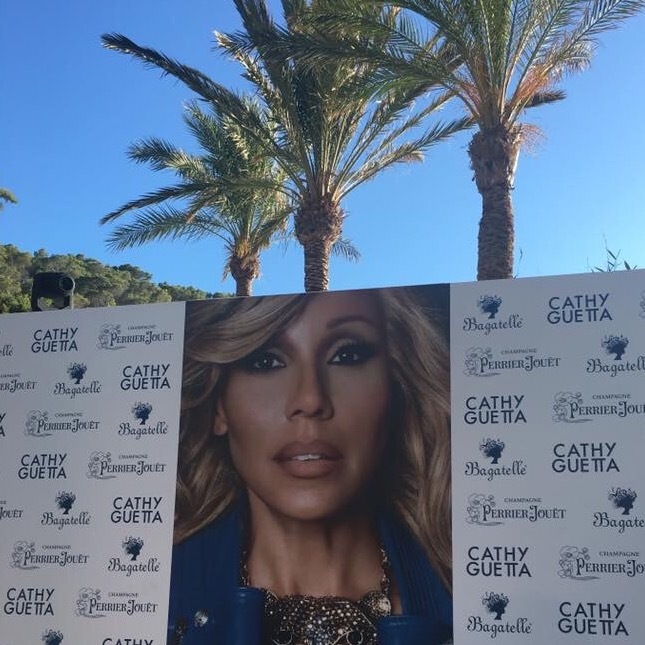 Cathy Guetta has finally thrown off the shadow of her famous ex-husband and entered into the busy Ibiza daytime market by opening ‘Bagatelle Beach Ibiza’ an über-exclusive beach club located at Cala Moli, a small cove on the west coast of the island. Last Friday’s official opening party saw a mixed crowd of 500 being wined, dined and entertained marking a new era for a beach that once hosted Club 18-30 beach parties. How times change! The ex-wife of DJ David Guetta has always been credited with having a sharp business brain and has been an Ibiza summer resident for many years (see my previous blog). She started one of the island’s most iconic parties – F**k Me I’m Famous – with her husband but has now gone it alone and brought the ‘Bagatelle’ brand to the White Isle. The upmarket brand already has clubs open in places such as St Tropez, Miami and Punto del Este (so you get the idea). Whilst some rejoice at the new addition to the Ibiza exclusive market some residents are unhappy that another quiet retreat has been taken over by a noisy beach club. Social media, the new voice of the ‘little’ people, came alive with residents complaining about the levels of noise coming from Ms Guettas opening party. ‘Prou’ (a local residents action group) uploaded videos showing high decibels into the early hours which goes against strict local laws on noise however no official complaints were received. Over recents years there’s been a backlash by Ibiza residents against beach clubs as public spaces to lay down your towel and relax have been superseded by big day beds with a ‘minimum spend’ of several hundred euros and security guards ordering people not to sit in certain places on a public beach. Time will tell if ‘Bagatelle Beach Ibiza’ will become popular in an already saturated market but for now the thirst for high end beach clubs seems to know no bounds.